Brand: 4medic. Code UNSPSC: 42241805. Code UMDNS: 17910. Clinical examination shows that over 80% of patients using this support notice significant improvement. The pressure is applied to the muscles responsible for flection and extension of the forearm and hand. It reduces the risk of overstress or tearing, and when such problems appear- it makes the healing process easier and faster. 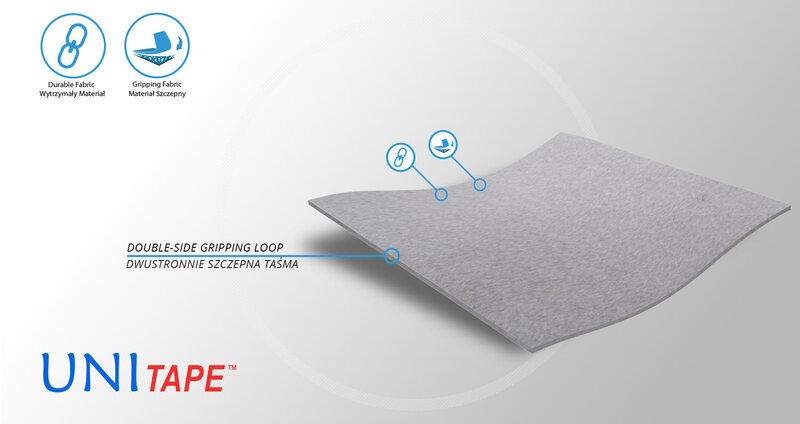 The internal pad contains silicon welt which does micro-massage during use of the support, polyamide clip and Velcro tape enable adjustment of the applied pressure. The pressure is evenly spread on the forearm. It removes stress form the muscles of the forearm and hand in the area of the ulnar joint. Especially useful in sport and work – enables faster comeback to professional activity or training. The instruction of use should be given by the leading doctor. In pain of the ulnar joint due to injury, in overstress and inflammation, in degenerative changes. Only correctly applied and fitted support fulfills its function. 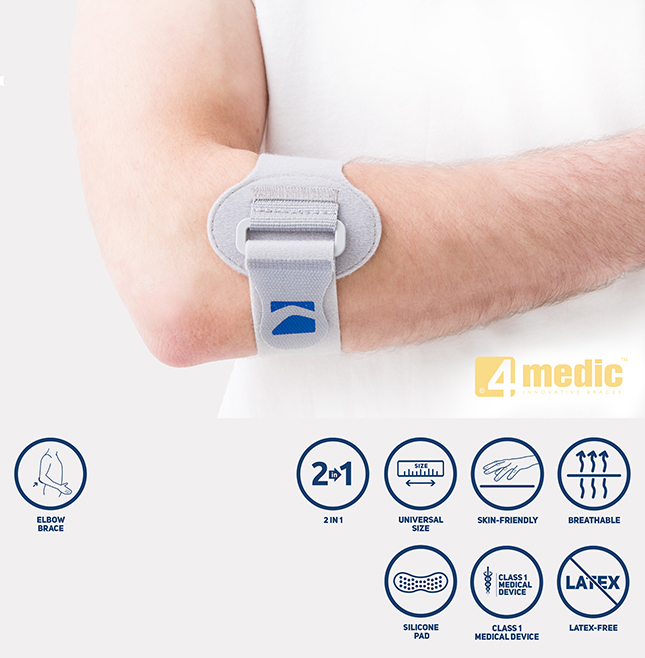 Incorrect use may lead to the increase of problems with the ulnar joint, humeral joint and hand, emersion of swelling, vein inflammation- instruction of use should be given by the leading doctor or qualified physiotherapist. In case of swelling or paraesthesia of the forearm or hand, it is necessary to loosen up or remove the support and contact the doctor. 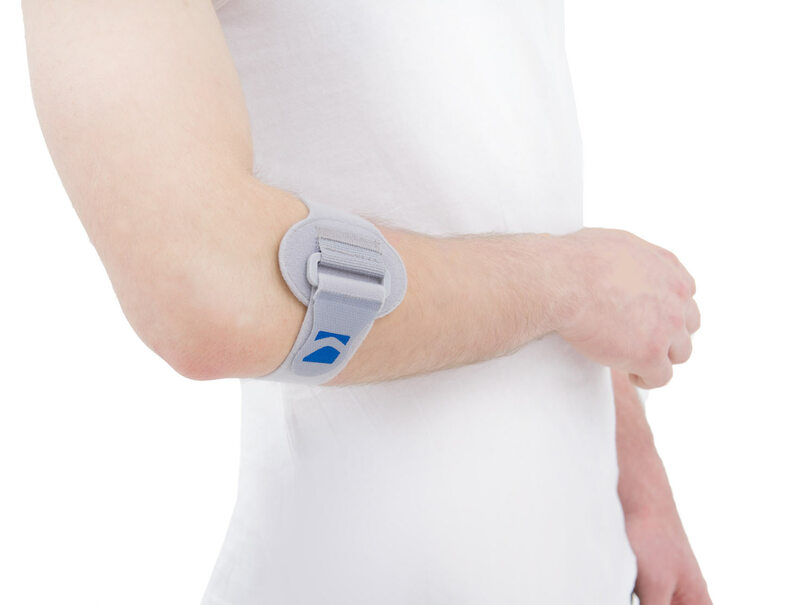 In case the problems with the humeral joint increase it is recommended to use the sling. Incorrect maintenance of the product – infrequent washing, insufficient rinsing may lead to skin changes connected with increased sweatiness under the support.